If you’re already part of our SocialTalent platform then it’s safe to say you’re just as nuts about e-learning as we are. 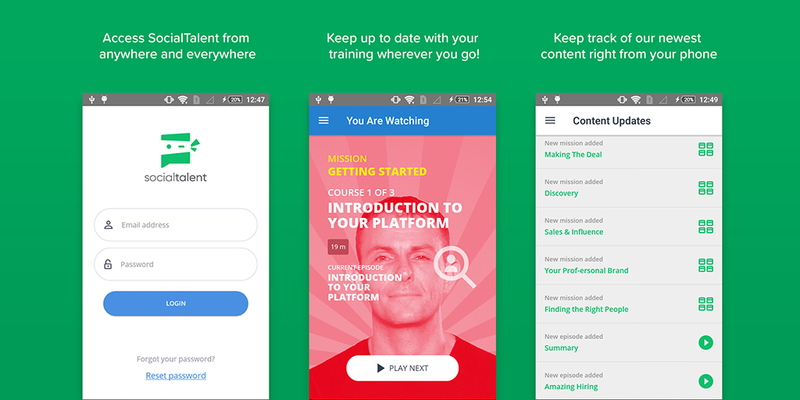 Continuous learning through bite-sized video and consistent rewards works and is about to work even better… SocialTalent are very excited to bring our award-winning platform to mobile! With over 80% of people using a smartphone, and almost 60% using more than one kind of device, the future of e-learning is mobile. Learning on the go can improve information retention in users and boosts the quality of engagement. So, what can the SocialTalent app do for you? It seems as though we’re all getting tired of mindless scrolling on social media news feeds only to snap back to reality and realise we’ve wasted 20 minutes of our lives doing nothing at all. The SocialTalent activity feed allows you to scroll with purpose! Keep up to date with the latest content available to watch, as well as how your colleagues are doing on their own learning paths. Right now, the SocialTalent app is available to download for Android devices (iOS coming soon…). As we’re still testing, we would love to hear your feedback on how we can make the new branch of our e-learning solution work for you!